The Auto-lock Wireless Charging Car Mount from Baseus is the latest technological advancement in its field. After being plugged to a power source (USB cable included), the car mount recognizes any near smartphone, and automatically attaches and locks itself to the device. 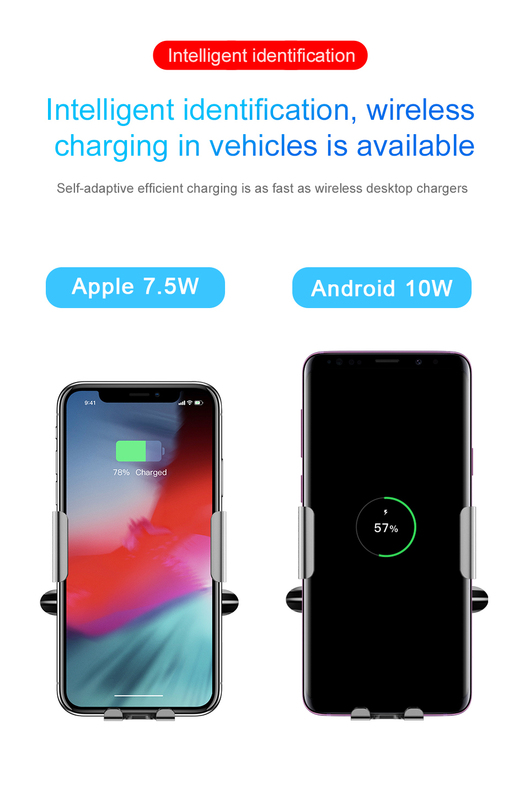 Aside from safely and automatically locking your mobile device in place, the Auto-lock Wireless Charging Car Mount also features a charge function that recharges your device extraordinarily fast. This clever design allows for simple ONE HANDED operation! This way, you can focus on your driving and leave your phone in trustworthy hands for the rest of the drive. 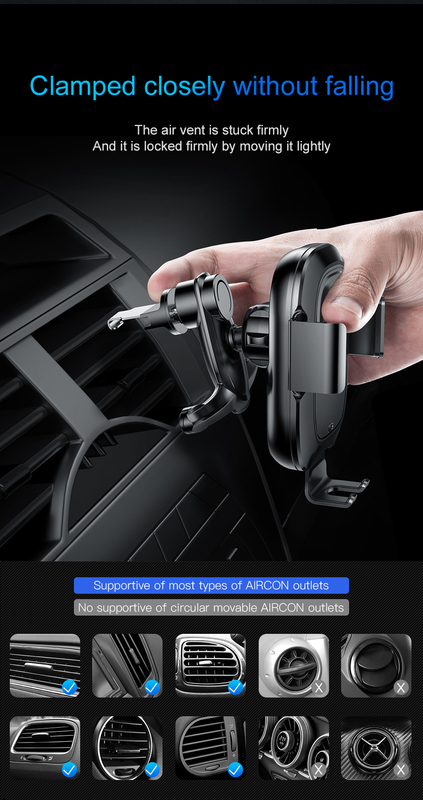 The Auto-lock Wireless Charging Car Mount does everything for you! Intelligent infra-red auto-lock technology: Simply attach your device to the car mount and let it do all the work. Wireless charge function: Charges your phone extraordinarily fast and eliminates the use of unnecessary charging cables. Steady and durable: Safely attaches to your car's air vent, making sure it stays put even on a bumpy ride. 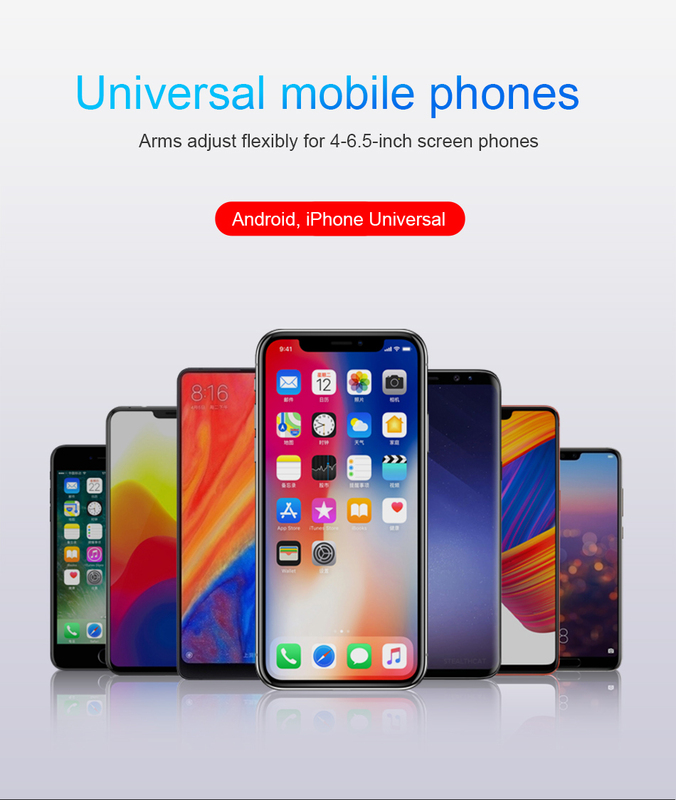 Universal: Fits all 4-6.5 inch screen mobile devices. One hand management: Save time and focus on your driving instead of attaching your phone to a mount. Vertical adjustment: The car mount rotates for vertical placement of your device.